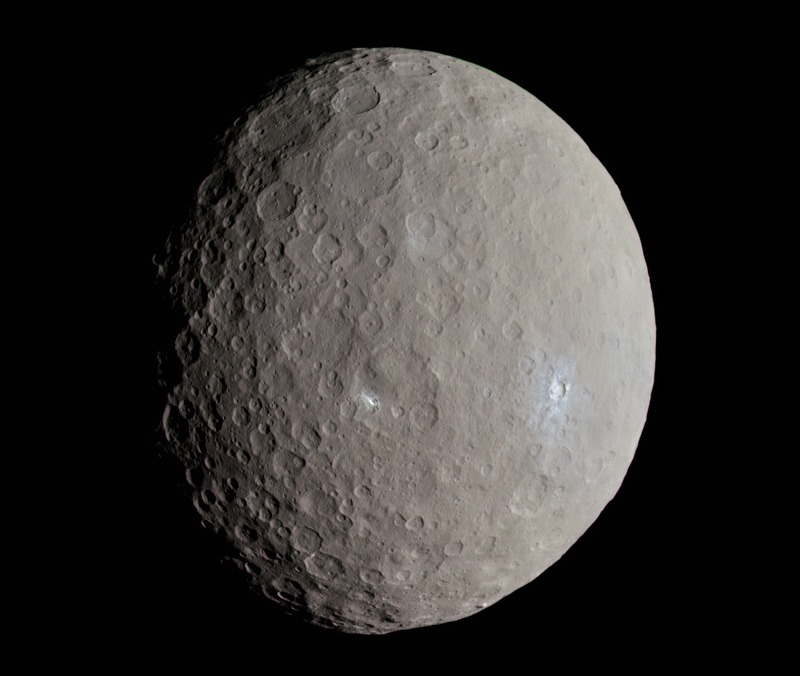 Explanation: Dwarf planet Ceres is the largest object in the Solar System's main asteroid belt, with a diameter of about 950 kilometres (590 miles). 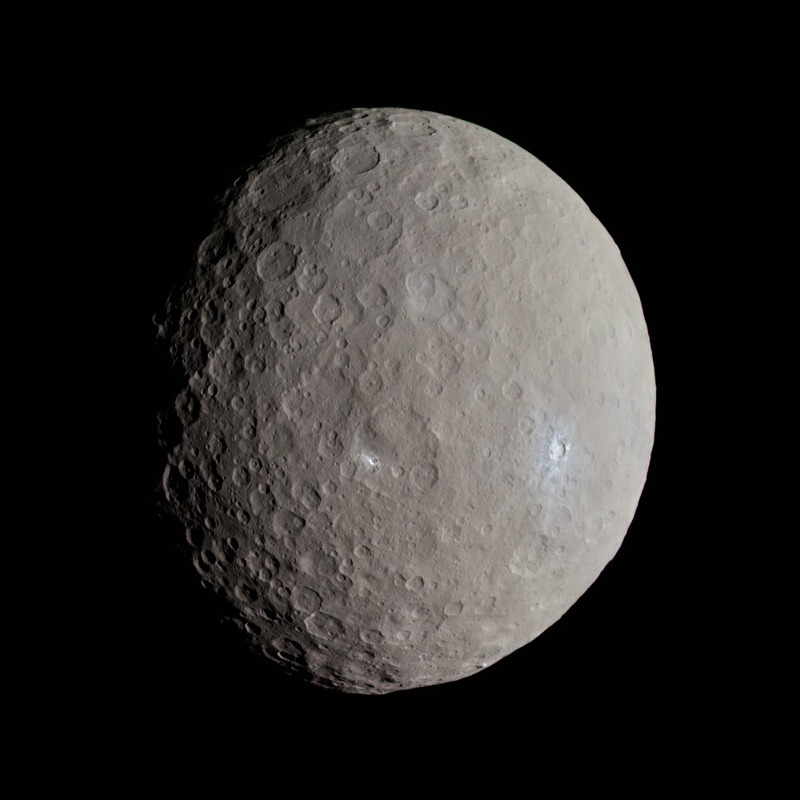 Ceres is seen here in approximately true colour, based on image data from the Dawn spacecraft recorded on May 4, 2015. On that date, Dawn's orbit stood 13,642 kilometres above the surface of the small world. Two of Ceres' famous mysterious bright spots at Oxo crater and Haulani crater are near centre and centre right of this view. Casting a telltale shadow at the bottom is Ceres' cone-shaped, lonely mountain Ahuna Mons. Presently some 385 kilometres above the Cerean surface, the ion-propelled Dawn spacecraft is now returning images from its closest mapping orbit.